Do You Need A No Bake Strawberry Cheesecake? Add 1 cup water to your strawberry jelly.cool off. pour in gel ring mould. Add fresh strawberries to your cool of jellies and let it set firmly. Lastly, add lemon juice and cooled of gelatine water and combine well with hand whisks. 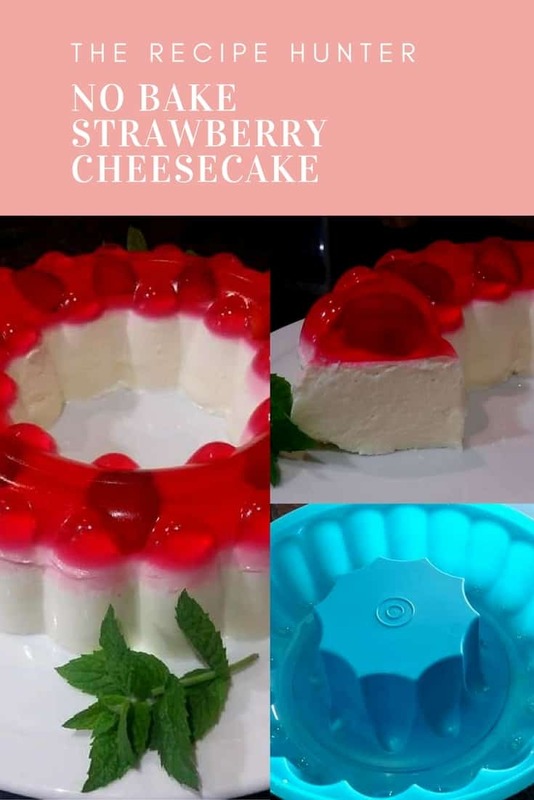 Pour cheesecake mixture over set jelly. Refrigerate until set and firm to unmould it on round platter.